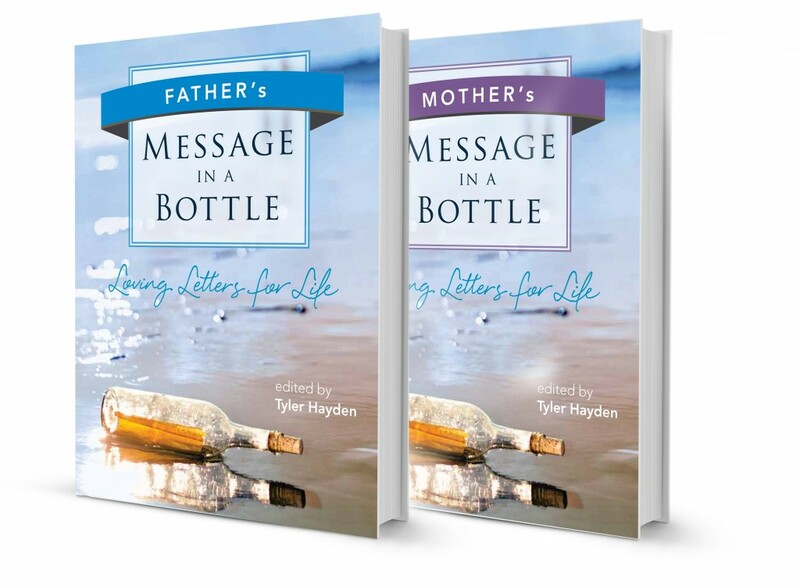 Connecting people is what our inspirational book series titled Message in a Bottle is all about. Our books share messages of love, leadership, and legacy from contributors like you, our readers. We take special care to ensure our books are inspirational gifts that leave an enduring impact for generations to come. Contributors provide the backbone to our books, which inspire life improvement. Our contributors provide true stories, wisdom, and insight in letters to the most cherished people in their lives. Readers benefit from their caring letters that are chock full of loving and timeless wisdom. Our inspirational books provide a unique format in which the person giving the book can include a letter of their very own alongside the letters already printed inside. This way your book has a personalized message that will make it a cherished gift that will be passed down through generations. Another aspect of the legacy created by this book series is our commitment to charitable giving. With each sale of a book, we donate part of the proceeds to worthwhile charities and groups making a difference in our communities. We believe it is truly important to contribute regularly to make the world a little better, one small step at a time. Join us in connecting people by sharing love, leadership, and legacy — and give a copy of a Message in a Bottle book today.